It seems to me that life is made up of a series of opportunities. Some pass by, some are missed and some are seized, like when Rod contacted me to become part of the SpeedHunters Team, I am glad that I grabbed that chance with both hands. Shakespeare put it slightly differently in his comedy Twelth Night – "Some are born great, some achieve greatness and some have greatness thrust upon them". 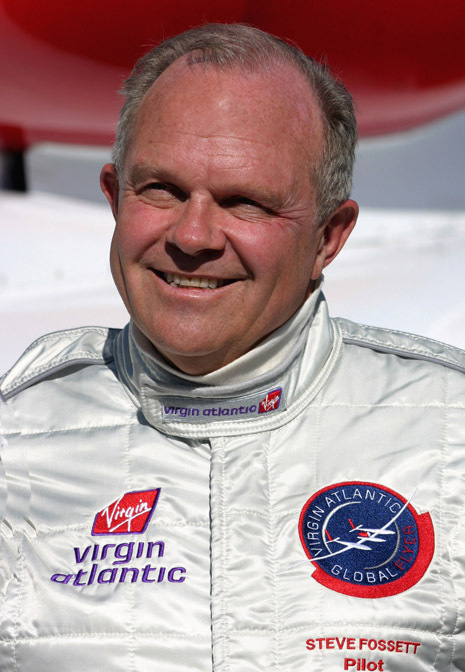 One man who would have scored highly on the greatness factor, whether born, achieved or thrust upon, was Steve Fossett. Around two years ago my old friend, Stuart Radnofsky, dropped me a line to give me an opportunity to cover the Steve Fossett LSR attempt that he was working on. Stuart was heading up the marketing and PR efforts for the project. We kicked around some possibilities and agreed that we must do something. A few months went past and we kept in touch with the aim of being in the USA during the 2008 record season. Well as most of you will already know Steve disappeared on 3rd September 2007 while flying in the Nevada Desert. provoking a huge search and rescue operation. Then in October 2008, after wreckage had been found along with human remains, it was confirmed by DNA testing that Steve Fossett had died in the airplane crash on the day of his disappearance. Steve was a larger than life in almost every respect. He set 116 records in five different sports. His fame came mainly in the world of aviation, highest altitude in a glider (50,722 feet), longest non-stop and unrefuelled flight (76 hours and 25,000 miles) and the first to achieve a solo balloon flight around the world. He set records on sea and competed twice at the Le Mans 24 Hours. By any standards he was a true SpeedHunter. His last and uncompleted project was to raise the Land Speed Record to 800mph in year 1, then in year 2 hike the bar further to 900mph. I have a few unpublished shots of the project from Stuart and felt that story is worth sharing with you all. 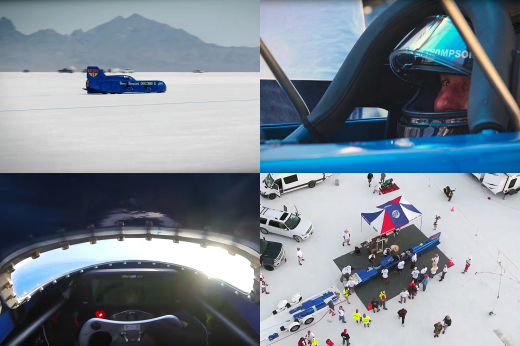 The basis for the car to make the record attempt came from the Craig Breedlove's final Spirit of America LSRV. Breedlove had set the outright record some five times during the 60's starting with 407mph achieved in August 1963 and ending with posting 600mph just over two years later. An interval of some 25 years passed and Breedlove was on the record trail again, though this time without success, a crash at around 675mph (the fastest u-turn in history) put paid to the 1996 campaign and engine failure the following year put the project on hold. 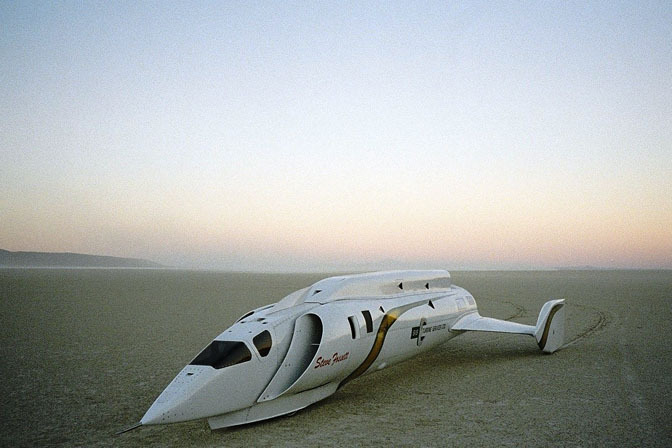 In 2006 it was announced that Steve Fossett had purchased all the assets with a view to going after the 800mph mark. The car was rebuilt from the ground up, longer wheelbase, wider track and much longer spatz and dumping the fin. It was still powered by a General Electric J79 Turbo Jet pushing out 22,000lbs of thrust while burning unleaded gasoline. 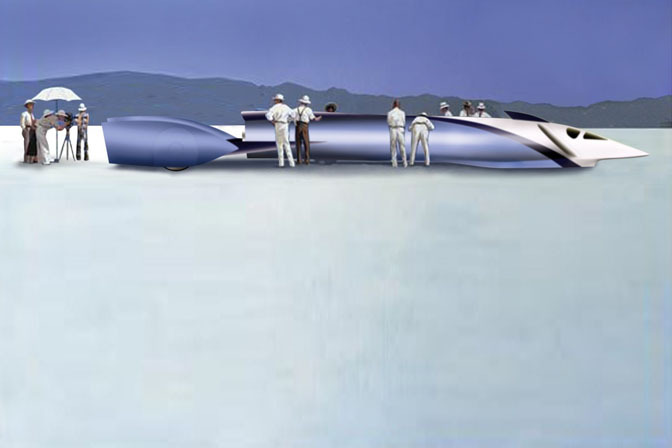 Although 800mph was the target, it was anticipated that the car could achieve speeds into the four figures. In 2007 the team began a series of logistical tests in Black Rock and Stuart was on hand to take these unique pictures. So there you have it, the final dream of a man who touched the stars. 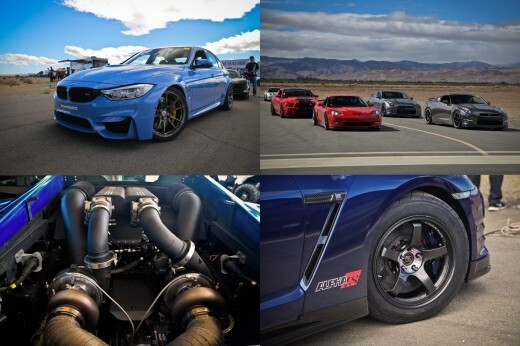 For those SpeedHunters with deep pockets and a desire to be the fastest man or woman on earth, the whole shooting match is up for sale, just contact Stuart Radnofsky at www.project100.com and tell him Brooksie sent you. Many thanks to Stuart for providing the photos and graciously allowing us to publish them. Someone crazy enough buy this jet car up and go for 800! Cool post! I was an early private sponsor with Breedlove in '96 and was very much looking forward to seeing him (Craig) break the record....but the formidable British methodically achieved their goal....and with great style....Sad that Fossett lost his life....he was always "on the edge".....hopefully someone will capitalize on Craig's and Steve's hard work and purchase this magnificent machine....and take the record back to our great USA. 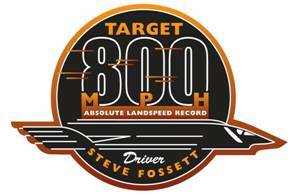 Could you please give the photo credit due me as the photographer of the picture of Steve Fossett that you have used? By the way, I know Stuart Radnofsky. Like a hawk there Ms. Howard! You seem to be trolling the internet waiting for someone to fail to give you credit! Now then, I did a bit of trolling myself, and the only place i've seen crediting you as the photographer is Wikipedia, and we all know how credible that claim is. I found one other *blog*, but i'm fairly certain they were just quoting Wiki as well. I googled your name, and found nothing relating to photography in any capacity, other than a set design firm, which i would say is not the same line of business as syndicated photos of high-profile public figures. 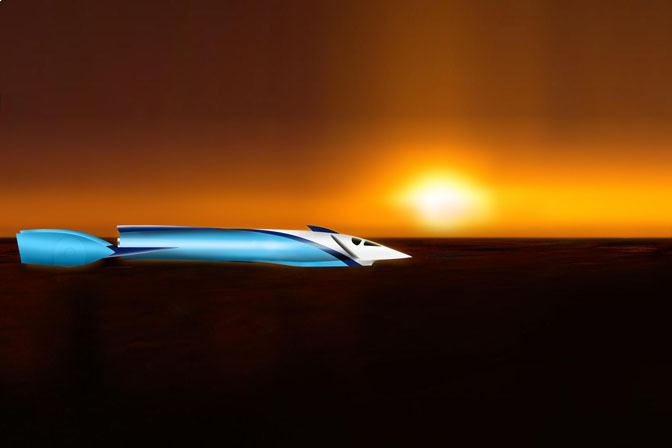 Back on topic though, it would definitely be amazing to see whether or not the machine can break 800mph! It definitely looks up to the task. I'm wondering what all those naca ducts on the top and sides are for though.. are there any aerodynamicists in the house? I really loved this car and I am confident it will make 800 easily. I worked on the cars engine and know much of its history and modifications on the engine and car. I understand the BRITTS have a project in work using a rocket assist jet. I think Steves car should make the record first. DONT YOU AGREE?? Probably the most amazing man of the 20th(and 21st!) century. Too bad he passed before he got to achieve this. As said, he lived life on the edge. I remember when he did the baloon flight, but I didn't really learn much about him until all the media coverage when he went missing. 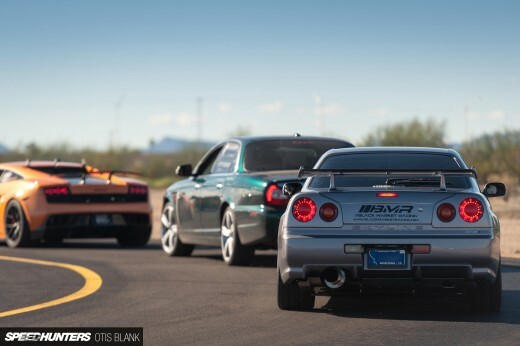 On another note, I remember when Noble did his Mach 1 LSR. I think I was about 10 at the time and they were showing it live on the news, but I didn't comprehend at the time the significance of the run.